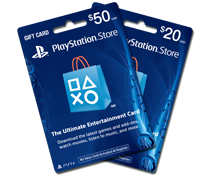 The PlayStation®3 system is more than just a gaming console: it’s the best way to spend time with your family. 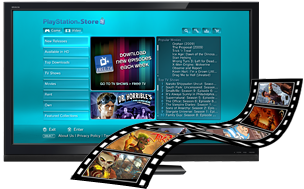 Use your PS3™ system’s built-in Wi-Fi to download thousands of family-friendly games, HD movies, and TV series. A Netflix subscription will let you stream even more movies to your PS3™ system for free. And it’s not just about games and movies: make fun slideshows of your family vacation, load your CDs onto the built-in hard drive, and create custom music playlists. Your kids are going to love the PS3™ system – now’s the time to enjoy it with them. We know it’s exhausting to keep up with changing technology, so the PS3™ system combines the latest Blu-ray™ player with a CD and DVD player. 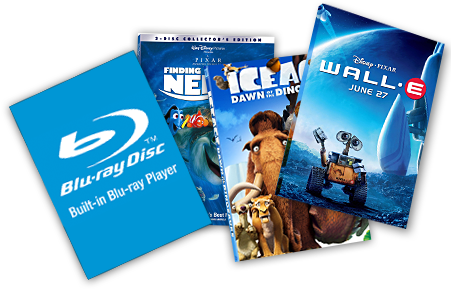 You can play your entire movie and music collection without buying any extra equipment, and you get the added bonus of watching the latest high-definition Blu-ray™ movies in pristine 1080p quality. We all lead busy lives. Between work, buying groceries, picking up the kids, making dinner, and getting homework done, there’s no time to go to a rental place and try to get everyone to agree on a movie. The PS3™ system brings entertainment directly to you, instantly. A built-in Wi-Fi connection lets you download new movies, TV shows, and exclusive games from the PlayStation®Network. You have the option to both rent and buy the latest releases. And if you’re a Netflix user, you can stream the huge Netflix library for free through your PS3™ system. Never look for parking or fight the lines again when all you want to do is enjoy movie night with the family. The PS3™ system’s built-in hard drive can accommodate your photo and music collection. Better yet, it’s got software that will help you easily arrange those two elements into a fetching slideshow. Why squint at your laptop, trying to spot the dimples in baby pictures, when you could display them on your flat screen in full HD, accompanied by surround sound? Musical photo slideshows are just the thing to entertain in-laws visiting unexpectedly or parties with friends. The PlayStation®3 system is great for the whole family, but that doesn’t mean everyone in the family should use it equally. 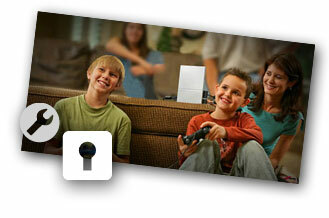 The PS3™ system offers parental controls so you can restrict your kid’s access to games or movies. Just follow the Entertainment Software Rating Board (ESRB) and Motion Picture Association of America (MPAA) ratings. You can also keep your kids off the Internet by keeping it password-protected, or set to automatically limit access to harmful sites. To learn more, visit our Parental Control page.